A cloth as classic as the stars who made it legendary. Carded Woolen Flannel is just about as classic as a cloth can be. 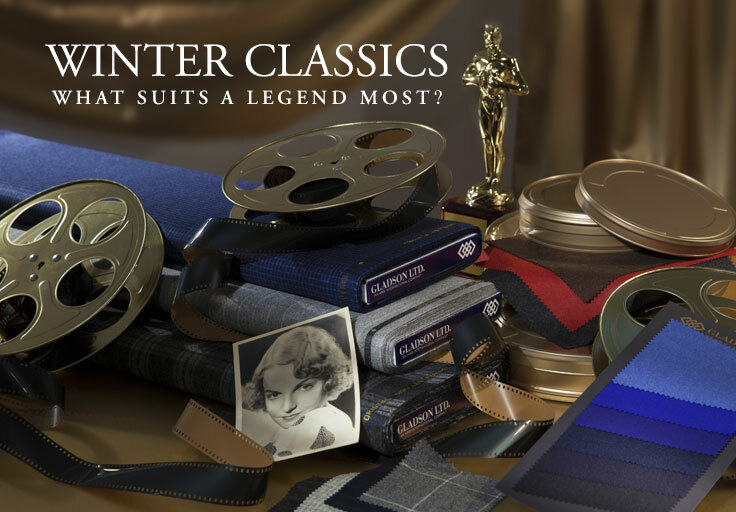 Memorialized by legendary actors of the silver screen, this iconic cloth was inspired by the English. Ours is made in Italy in a lighter weight version from Super 100‘s Australian Merino Wool. Create your own legend with Winter Classics. Winter Classics is part of the Legends collection and is exclusive to HMS and may be purchased only from Gladson Ltd. and Huddersfield Fine Worsteds.